Retrospective Moral Intuitions on Equity Dominate the Warsaw Talks as the UN Climate Conference Transitions into its Second Week. Editor’s note: The following entry is a report from Idil Boran who shares her views about the ethical issues in play in the Warsaw Climate Negotiations at the end of the first week. Ethicsandclimate.org has posted three of several articles to be posted which are looking at the ethical issues entailed by the Warsaw agenda. This series will continue this week. At the conclusion of the Warsaw meeting, the series will review how the ethical issues were dealt with in Warsaw. 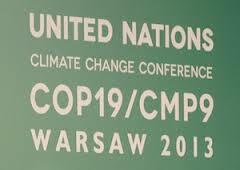 The 19th Conference of the Parties at the United Nations Framework Convention on Climate Change (UNFCCC) is taking place in Warsaw, Poland’s capital, through November 11-22, 2013. As the first week of the conference ended, the delegates have taken a break on Sunday to prepare for the second week. The discussions at the National Stadium in Warsaw, the official venue of COP 19, have so far been tense, which is to be expected. This is in many respects a critical year for climate negotiations. With 2015 in the horizon, pressure is building up to establish the details of a possible new treaty to be adopted in 2015 as the outcome of the Durban Platform for Enhanced Action. Two issues came the forefront on the first week, setting the tone for the week to come. Brazil put forward a proposal, supported by China, to use historical emissions levels going back to the industrial turn of mid-nineteenth century, in order to determine how much countries should be allowed to emit in the future. Both the European Union and the United States have categorically rejected this proposal. This issue is clearly highly divisive. Yet, at the same time, a focus on past emissions has long been a recurrent rationale at COP meetings, as it resonates in the minds of many negotiating parties as a possible starting point for establishing fair terms of cooperation. An agreement in principle was reached in Doha, Qatar, at COP 18 in 2012 to include a “loss and damage” clause in the new treaty. Prompted by the destruction in the aftermath of typhoon Haiyan, last week’s discussions were heavily focused on claims of compensation against loss and damage associated with climate change. The suggested scheme, supported by many developing countries, is that developed countries would pay compensation to developing countries experiencing a weather-related disaster. There are difficulties with this proposal, however. Although weather extremes are to be expected in world affected by climatic change, associating a single event with climate change is not straightforward, which is why the discussions on this issue remain deeply politicized and highly contentious. What these issues have in common is that they both put forward a conception of equity appealing to a principle of corrective justice. Both proposals follow a retrospective logic for establishing equitable terms for allocating the costs of climate change within a possible treaty. The former is concerned with the costs of mitigation. And the latter is concerned with the costs of adaptation. 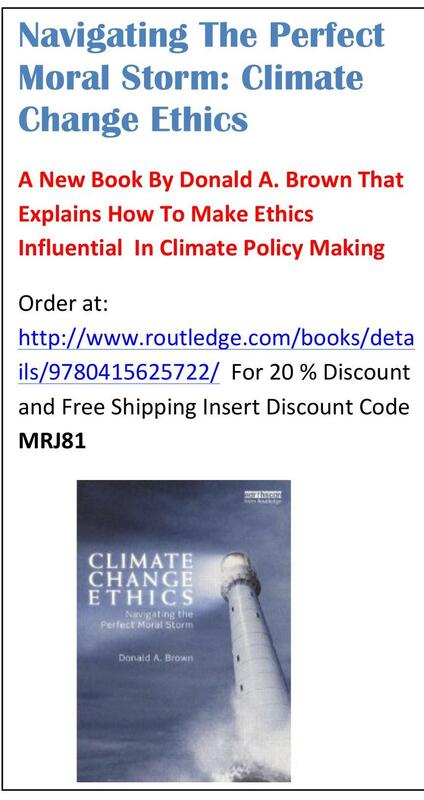 Nevertheless, both perspectives consist of looking at the past for identifying wrongdoing, and request compensation from those viewed to be responsible for climate change. Yet, establishing fair terms of cooperation need not be based on a retrospective logic, and the thinking certainly need not revolve so narrowly on compensation. This way of thinking consists of allocating costs and responsibilities by appealing to claims of blame and liability. These appeals bring to the negotiation table tort-like intuitions, which are more divisive than cooperative. Equitable cost sharing can be conceptualized within a forward-looking framework, by identifying needs and capacities and moving onwards into a future where genuine cooperation will be needed. Even on the issue of loss and damage, policy can be designed to achieve a system of cooperation against weather disasters based on risk-sharing and risk-transfers, without focusing so narrowly on placing blame. This kind of policy would provide more than ad hoc disaster aid and would help build resilience in vulnerable countries on an ongoing basis. Although retrospective moral thinking is highly intuitive, the worry is that this way of conceptualizing equitable cost sharing may seriously jeopardize the possibility of an agreement. The international community has an interest in conducting discussions within non-retrospective and forward-looking parameters for equitable cost sharing. It would be unfortunate if the negotiations became deadlocked because of insistence on retrospective moralizing on these two issues. How the discussions will unfold at National Stadium throughout the second week of the conference is yet to be seen.